Behold! 2 months delayed post! XD I’m really sorry, I actually finished Mikoto about 1+ week after Koharu but I got lazy in writing orz. I’ll try to finish Nanami (I’m having otoge block?) soon when I’m at least away from my comp or PS3. I’ll tell more on the next post. When you’re still playing as Sorata and choose to come with Kuga Mikoto (CV. Takagaki Ayahi), they will find a place for him to stay since the rooms are limited. We know where he’s missing to now, he lives together with the chicks of the ship since the door is small but has a proper bed for him XD In Mikoto’s route, you’ll encounter the boy who attacked the ship after the first earthquake Sorata felt. Sorata ran away with Sakuya and Itsuki, while Mikoto was facing Natsuhiko, who actually invited her to join his side instead. After refusing his invite, he threatened her to join him, or he will blow the ship. On the other side, Sakuya told Sorata to go to Mikoto’s place. Lady luck on her side, when Sorata joined her and told her Natsuhiko is holding a gun, the guy fled before anything else happened. After all of it calmed down, they decided to check all over the ship. Nanami then mentioned to her if she realized something weird, as in why are the trees inside the ship damaged if the attacker is from the outside, which led to the conclusion that there’s another attacker from the inside. They held a meeting after that, and ended up choosing partners. If Mikoto chose Sakuya as her partner, the set-up will be : Koharu-Kakeru, Senri-Masamune, Mikoto-Sakuya, Nanami-Heishi, Akito-Ron, while Itsuki is forever alone. Sakuya is Mikoto’s childhood friend, which is why he’s really attached to her and really caring. On the contrary, Mikoto is as cold as ice towards him. Apparently when they’re kids, they made a “promise” about not falling in love to anyone. When Itsuki asked if she’s not getting along with Sakuya, he just flirted with her and asked if she’d like to partner up with him instead. This made Sakuya mad of course and pulled her from him. Mikoto is mad by this, thinking that Sakuya prolly thought herself as a helpless girl. So one day Mikoto got sick and Sakuya took care of her since he’s being a good guy and care for her so much. The girls visited her, and Koharu gave her some star shaped candy/konpeito (or whatever you people want to call it) but Sakuya took the konpeito and told Mikoto to eat the porridge first then he will return it. And then we have an otome moment where Mikoto accidentally ate the porridge with Sakuya’s spoon lol. But even after she finished the porridge, Sakuya won’t return the konpeito. Mikoto is a bit pissed since this is prolly the first thing she has ever accepted from a girl-friend. He doesn’t explain much but he only told her “A future is hold by many gears. It is affected by one by one gear.” Idk he speaks things like that, I forgot lol. And then he threw the konpeito away. After she’s healthy, they decided to go patrolling the area. Both of them went to an area with lots of trees and waterfall. When they’re talking, suddenly there’s a gunshot heard and a branch fell from a tree. Mikoto tried to use her barrier to protect Sakuya, but it’s falling to her direction instead. Deep inside her heart, she’s relieved since Sakuya won’t get hurt, but suddenly, BAM, Sakuya protected her. What a reliable guy! The other came to rescue them, but seeing Sakuya bleed, Mikoto got scared and ran away, until she’s knocked out by an unknown dude. When she woke up, she found herself in a dark room. She cried there til Sakuya saved him. The members then held a meeting to figure out who’s the culprit. Ron pointed out why the heck Sakuya knew where she was. Reluctant at first, Sakuya finally explained that he could see a certain future. He doesn’t see it when he wants to though, it suddenly pops into her brain or something. Basically he saw Mikoto crying there so he could find her. In the fairy tale section, Mikoto is the Cinderella while Sakuya is the prince. How charming. So they just about to kiss, til she was reminded something that Sakuya said when he was little. He said “I will protect the girl I love and die” and she ran away. Basically that quite triggers everything when they were kids, ended up made the promise that Sakuya won’t fall in love with anyone so he doesn’t need to die. She met Itsuki but her mind is so messed up that she saw him as Sakuya and they hugged. While the real Sakuya just saw them and gets jealous (technically he doesn’t show it but come on). After the whole dream Sakuya is of course pissed while Mikoto is just blushing madly coz she thought she hugged Sakuya, not Itsuki, and confused with her feelings. So Sakuya is nowhere to be seen coz he’s brooding right now with sadness while Mikoto is searching for him. It’s pouring rain and he’s still nowhere to be found. She found her on the rooftop. She hugged him and said that she will by his side but won’t accept his death future. Later that night, they gathered together in the dream world so they could discuss what to do with Sakuya’s condition. By “they” I mean Koharu, Kakeru, Nanami, Heishi, Mikoto, and Sakuya. While Itsuki just stand by there somewhere. Flashbacking, the possibility of him dying is because of a gun, and they remembered the gunshots fired 3 times, like when the branch fell and hit Sakuya. Conclusion? Someone inside the ship has a gun or something. In the morning, Mikoto saw both Itsuki and Ron talking. They then reached the destination point and met Aion. Aion told them there are 10 power users this time since one power is separated (Senri and Akito). She pointed out that Itsuki isn’t a power user. He then got kicked without complaining and stayed outside. After explaining about the reset, she showed them 2 doors. One that shows the past, and another that shows the future. Mikoto and Sakuya stays while some go to the doors. By doing reset, they will have peace without guns. Mikoto is relieved because Sakuya won’t face death. Suddenly Natsuhiko barged in and pointed guns at them. Mikoto protected with her barrier. Just one moment Natsuhiko’s out of bullets and Mikoto tried to use her power to destroy the gun. Happy End : The gun burst and suddenly the people from the doors came back. Ron then put Natsuhiko to sleep, saying that the future isn’t as he wished. Ron is holding Itsuki’s power so he’s showing Natsuhiko a dream. Itsuki then went in along with Setsu whom was caught. They finally do a reset. When they went to the room with stained glass on the room, they vowed their love and kissed. Bad End : Mikoto failed and Sakuya got shot by Natsuhiko. But he didn’t regret because he managed to protect Sakuya. Natsuhiko is a man who attacked the Norn ship. The time Mikoto encountered him on the rooftop, he persuaded her to join him instead of staying in the ship. Also, Ron is working for him as a spy inside the ship. Mikoto who wanted to find the truth acts alone without a partner, together with Sorata. Mikoto drew a hideous pict of Natsuhiko and spread it to other people, see if they know something about him. 1st response : Ron was rofling. 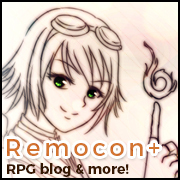 2nd response : they didn’t know that Mikoto drew a human being except Sakuya. Masamune was surprised when he heard the word “gun” but he mentioned that “he didn’t know anything about this MAN or guns,” while the others could hardly figure that it’s a man. Another weird point is that how the other feel that they have been travelling for a time, but they don’t feel anything wrong with that. Mikoto and Sorata who went outside the ship and asked villagers, accidentally met a Kuga relation, and he said that going to America only takes 2-3 weeks max. They have been travelling for the same time but they’re still in Japan leaves a question mark. Sakuya wanted Mikoto to stop searching prolly coz he saw a bad future about this. Mikoto suddenly stopped looking for clues and Sorata got pissed instead. Mikoto then fell for Ron’s trick who said he knew the guy in the picture, aka Natsuhiko. Sorata who happened to be reading a newspaper, found out a bad news and searched for her immediately, but it’s too late as Mikoto was thrown from the Norn by Ron to Natsuhiko lol. Basically, she’s abducted. When she woke up, she found her hands were cuffed, and Natsuhiko kept threatening her. Her life became a nightmare after that. Natsuhiko also mentioned that he wanted to kill the rest of the power users. Because of his bad treatment, she resists to eat anything from him, thinking it’s poisonous. But in the end, she ate it, and he talked a bit about how they were tricked by The World so they don’t feel anything wrong when they’re in the Norn. He also wanted her to cooperate with him to kill Shirou, the guy who created chaotic wars by selling weapons to lots of countries. She finally agreed, although looking at Setsu kinda stopped her since he’s basically a do-M who wanted Mikoto to keep scolding him ʘ‿ʘ She managed to help Natsuhiko everytime with her barrier anyway. One day Mikoto woke up and found a robot was serving her. We all know he’s just being nice since she didn’t want any guys to go inside the room but Mikoto saw it as a bad attitude that Natsuhiko prolly felt that it’s troublesome to take care of Mikoto so he uses one of his stupid robots to serve him. She kept crying coz she misses the others on Norn. But then she was awaken by a chick sound, who was created by Natsuhiko as well to take care of her d’awww (*´Д`) He also took her to see the stars, including teaching her about Spica and Arcturus. She’s happy that she also learnt about the stars from the book he got. But she overheard that Natsuhiko won’t kill her coz she’s useful. Hearing this she of course ran to her room and cried. The useful white chick (prolly) reported it to Natsuhiko, and he suddenly barged in without anything, and hugged her. He finally told her about the reset, how the power users are necessary to complete the reset, and how it’s gonna get really bad if Shirou gets his hands on them. She suddenly heard Heishi calling her via telepathy, along with Nanami’s and Koharu’s voices. During one of the battles, Mikoto’s barrier suddenly doesn’t work, the plane fell, and both of them got injured real bad. When Mikoto woke up, she found herself in a house, while the doctor and the house owner said that she’s been sleeping for 3 days. Natsuhiko carried her and now he’s sleeping in front of him with his wounds. Mikoto wanted to shoot him coz he’s dangerous, but she cannot find herself be able to do it. Natsuhiko got amnesia, and they lived as normal villagers, where the girls tried to woo Natsuhiko and the men out there tried to woo Mikoto. Natsuhiko actually got jealous, and said to the guy that “if we’re not husband and wife, there’s no way we’re living together” and slam the door at the poor guy XD At night, both of them watched the stars together, as she explained what Natsuhiko used to teach her. He asked Mikoto why she didn’t run away instead coz he’s an enemy since Mikoto answered that Natsuhiko saw her only as a tool. Natsuhiko then confessed to her, saying that he knows himself the best. Eventhough his memories are back, he will be the same guy and will always love her. Icha icha bed time! The next morning, Ron suddenly appeared out of nowhere barging in fabulously, and pointed his gun on Natsuhiko. Mikoto protected him with her barriers, saying that Natsuhiko lost his memories. One step, Natsuhiko told her to remove the barrier and pointed his gun at Ron as well. Oh wow his memories are back! He shot Ron’s sunglasses and well the rest is history. They prepared as they went out from the house to finish their business with dirty guy Shirou. Ron explained that he was found out as a spy by the rest of the members coz Shirou appeared. Unfortunately for Ron, Kakeru is Shirou’s son, and Koharu knew him too well. He ended up retreating from Norn. 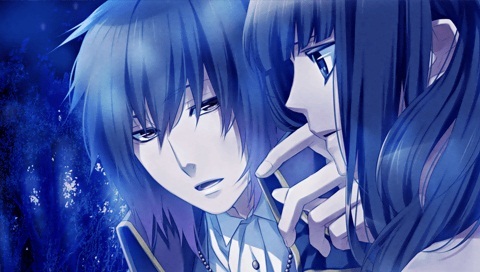 Before their departure, Mikoto and Natsuhiko watched a meteor shower. He told her that he’s a descendant (reincarnation?) of a scientist that created Aion. After that, they go to meet The World. Inside the building, they met the power users, who claimed that Shirou’s dead due to aging, while Kakeru remains MIA. Aion appeared in front of them. Just like how she malfunctioned due to getting older and Ron could snoop inside Norn, the same goes for Shirou. She explained to them that eventhough they’re doing resets, it won’t stop unless people are ready to throw their weapons. Bad End : Natsuhiko kept his weapons and decided to fight back. In the end he died and Mikoto just cried all day and night. Nanami erased her memories about Natsuhiko, and she only dreamt about her watching a meteor shower with a guy he didn’t know aka Natsuhiko (coz she has no memories about him anymore). Itsuki keeps looking for excuses like pretending to sprained his ankles so they don’t need to search for clues. One time when both of them are on the rooftop, Itsuki told her to fell for him instead. She ran away because she’s definitely embarrassed. Sakuya who was with Koharu, accidentally overheard him and asked if he was serious. He won’t forgive Itsuki if he hurt Mikoto. She eventually avoided Itsuki for the time being and the fairy tale dream section started. I’ll just say that Itsuki talks to Ron frequently coz this is an important point. Heishi is worried about this. To him, Ron looked like a nice guy but there’s something off about Itsuki. Anyway Sakuya asked if Mikoto wanted to write letters for her family, and ended up dragging Itsuki in the process. Eventhough Itsuki said he never written anything, he wrote something proper for Mikoto and told her to read it later. Both of them finally confessed and they kissed on the library. After all things happened, later on, Sakuya mentioned that “the future” has changed. Mikoto is happy (if you don’t understand why, basically his future where he was supposed to die by the one he loved, changed. So he don’t need to die anymore) but somehow Sakuya seems not fond of this. Itsuki later chased Sakuya and he shut himself the next day, and afterwards. Unfortunate accident always happens in this ship so it got attacked once again. Mikoto’s power is disabled somehow, and the attack ended up putting Itsuki on coma state. The last thing Mikoto remembered was seeing Itsuki (if I wasn’t mistaken anyway) and the next thing she knows, she was living in a small wooden house with Itsuki. Both of them are living happily like a real couple. At one point, she started to see Itsuki’s missing, aka he’s gone invisible. And how he shopped things really fast and things are already there whenever she needed it. She tried to remember anything. Good End : She remembered Itsuki’s weaknesses and managed to break through the dream world Itsuki created for her. While she is happy, all of them are fake. She woke up and hurried up to see Itsuki who was on coma, finally waking up as well. She cried on his side but was surprised by Ron. Mikoto couldn’t use her barriers and shocked to see that Ron is using it instead. Apparently all the talking from both Ron and Itsuki, are agreements that he’ll leave the girls out of this and he will help Ron. But welp, being kinda a jackass he wanted Nanami’s power as well. Itsuki tried to kill Ron but he failed. Ron wanted to kill some of the power users, but Itsuki got the better of him by giving him Mikoto’s power. Eventhough she’s sad, she’s finally over it and told everyone about the event. In the end, they left the ship together and kissed. Mikoto’s a tsundere yeah I’m actually normal towards her. But then I found her route actually better than Koharu, with the exception of Sakuya, coz I’m not really fond of him with his actions. I know he’s just being overprotective with the whole childhood friend but I guess I’m not on the same road with him. I never expected to see Itsuki has such a good route! I mean I felt really sad for the poor guy when I was playing Koharu, coz his love looks soooo one-sided. So I’m really happy he got a good route. Also Natsuhiko is definitely awesome. Too bad we don’t see him in the fairy tale dream coz I really want to see him dressing as a prince (?) It’s been a ride with Mikoto, and I definitely like both Itsuki and Natsuhiko. Glad I’m not the only one who found Sakuya to be overly attached and rather irritating to deal with. Natsuhiko and Itsuki ftw!! And that proved by he got rank 7, under Natsuhiko and Itsuki, hah!